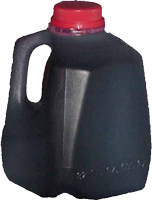 DocCherry® is an all-natural, highly concentrated tart cherry juice concentrate. It is specially processed and stored in order to preserve the natural qualities found in tart cherries. The Country Mill has been selling the tart cherry juice concentrate (DocCherry®) for about 30 years and our customers tell us this has enabled them to navigate much easier with a lot less pain. Keep in mind that this is not a cure, but merely a product that can offer some pain relief without the usual side affects associated with many over the counter anti -inflammatory remedies. This product is a pure concentrate with nothing added. 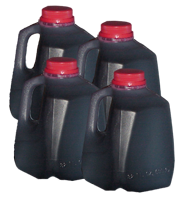 It can be stored indefinitely in the freezer and stores for a long time in the refrigerator. 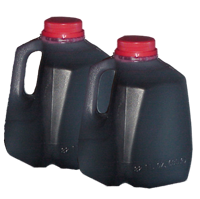 Due to its high natural sugar content it can be shipped without being kept cold. Must people take 1-3 Tablespoons per day. To turn it back into cherry juice, then add 1 part concentrate to 8 parts liquid. You can also mix with liquid like Diet Squirt, 7-up, Coca- Cola, orange juice or water---whatever you prefer. There are three anthocyanins present in tart cherry concentrate with the potential to inhibit the growth of colon cancer tumors. Tart cherry concentrate contains anthocyanins and bioflavonoids which inhibit the enzymes Cyclooxygenase-1 and ­2, and prevents inflammation in the body. These chemicals have similar activity as aspirin, naproxin and ibuprofen. Daily consumption of cherry concentrate has the potential to reduce the pain associated with inflammation, arthritis and gout. There are 17 compounds in tart cherry juice concentrate with antioxidant properties, which, in total, are superior to the activity of vitamins E and C.
The same antioxidant benefits tart cherry juice concentrate provide humans are also useful in the prevention of rancidity in food products.